​The following work is from my series of Line/Language quilts. 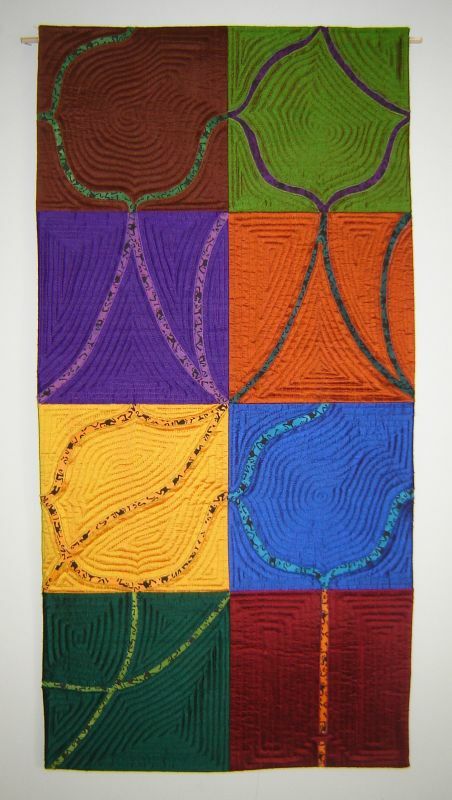 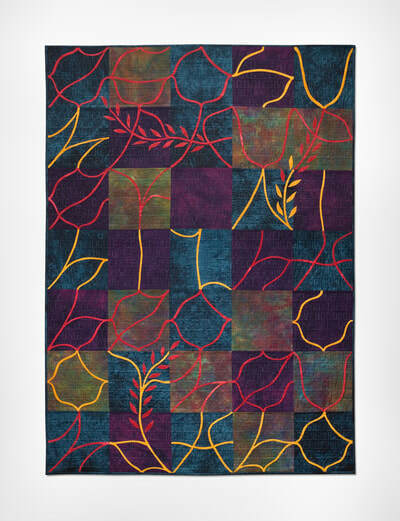 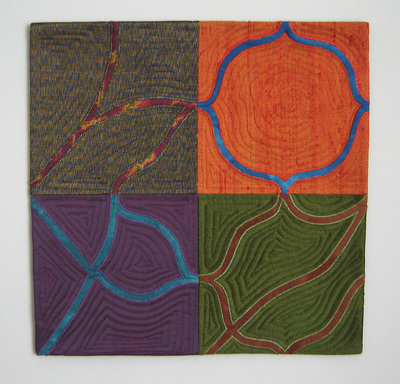 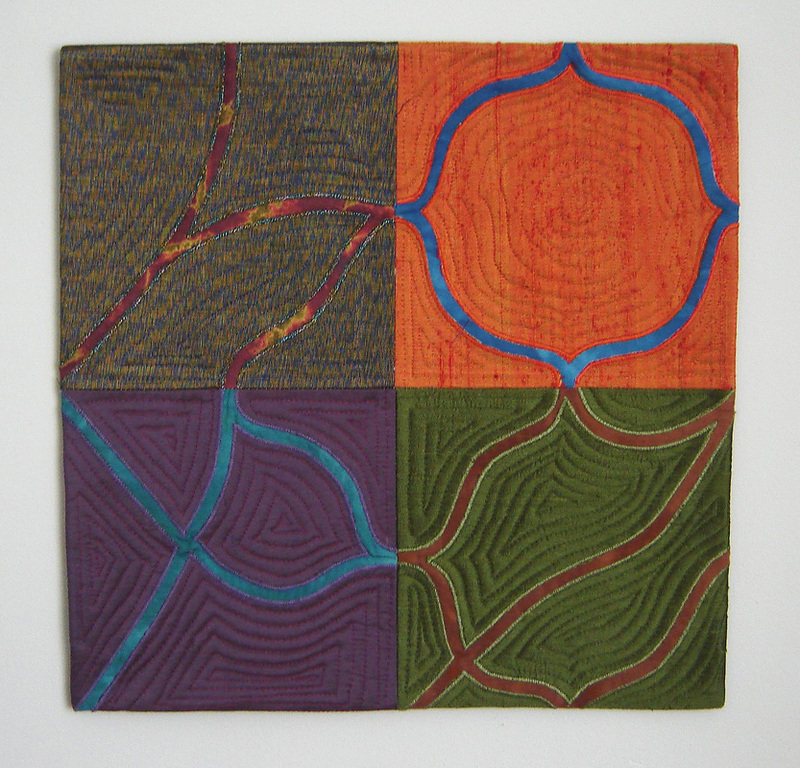 Each quilt stands on it’s own as an abstract, but with careful attention, the hidden message becomes apparent. 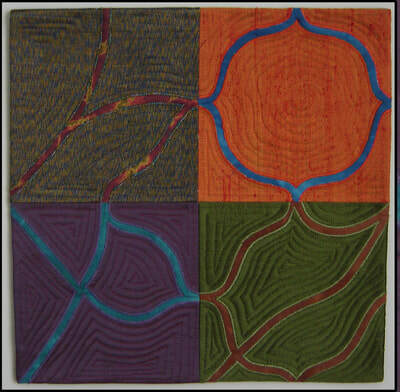 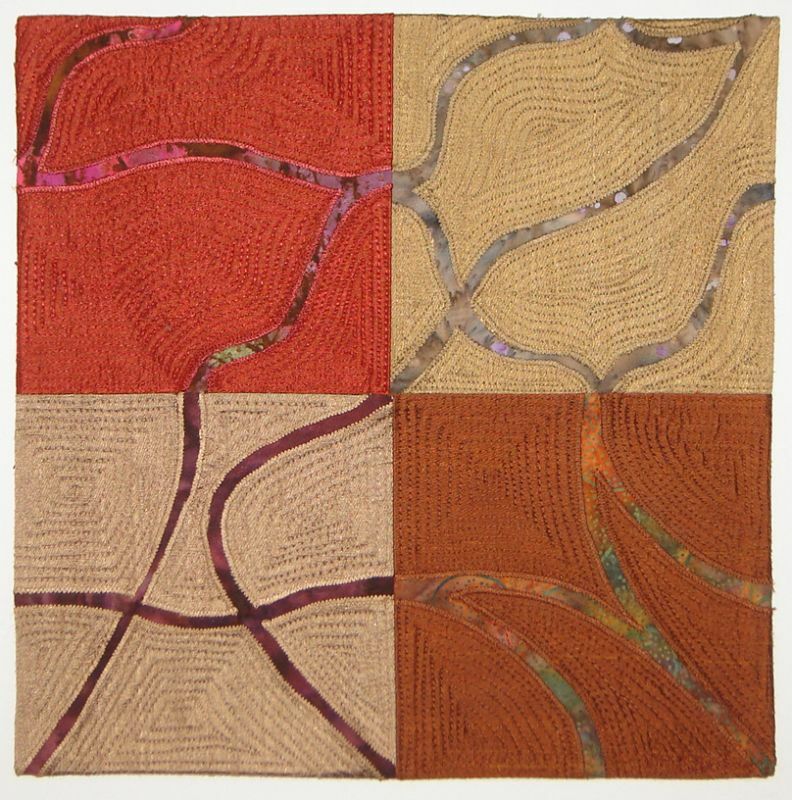 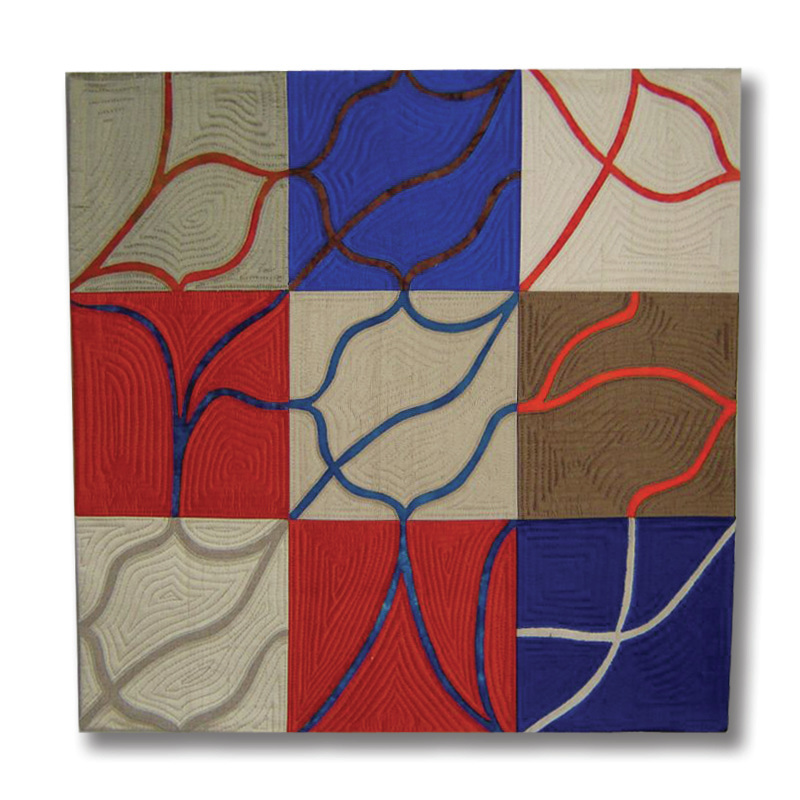 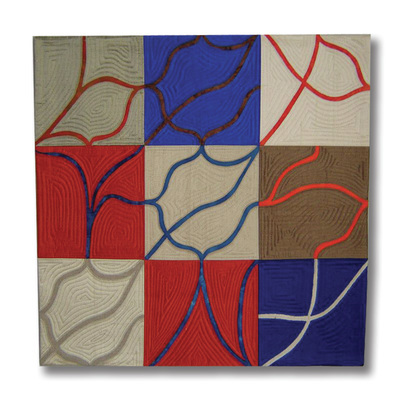 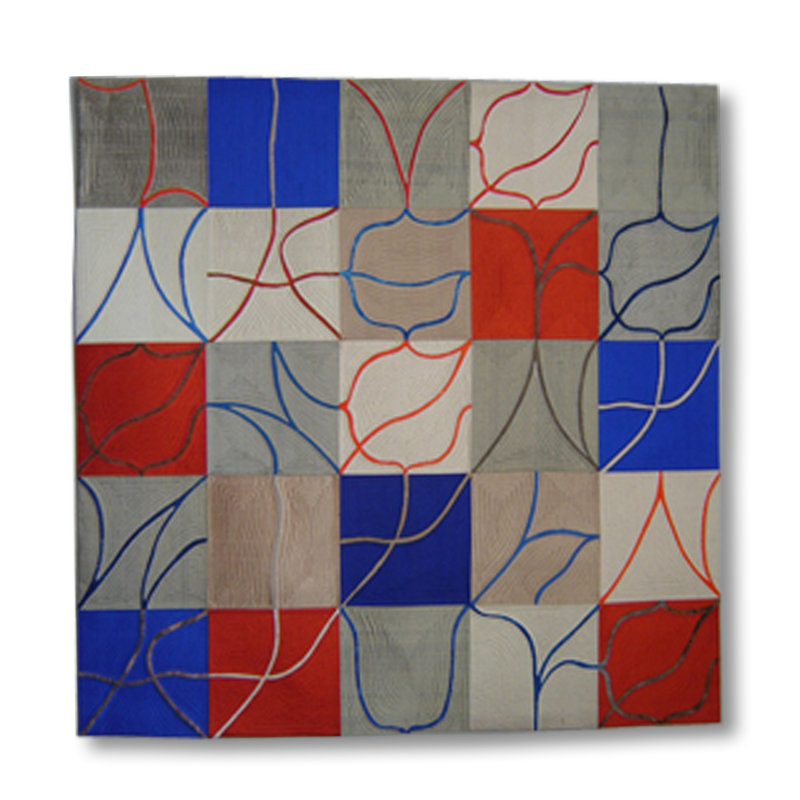 The quilt’s blocks are stylized letters that intersect with the lines in other blocks to form an abstract pattern. 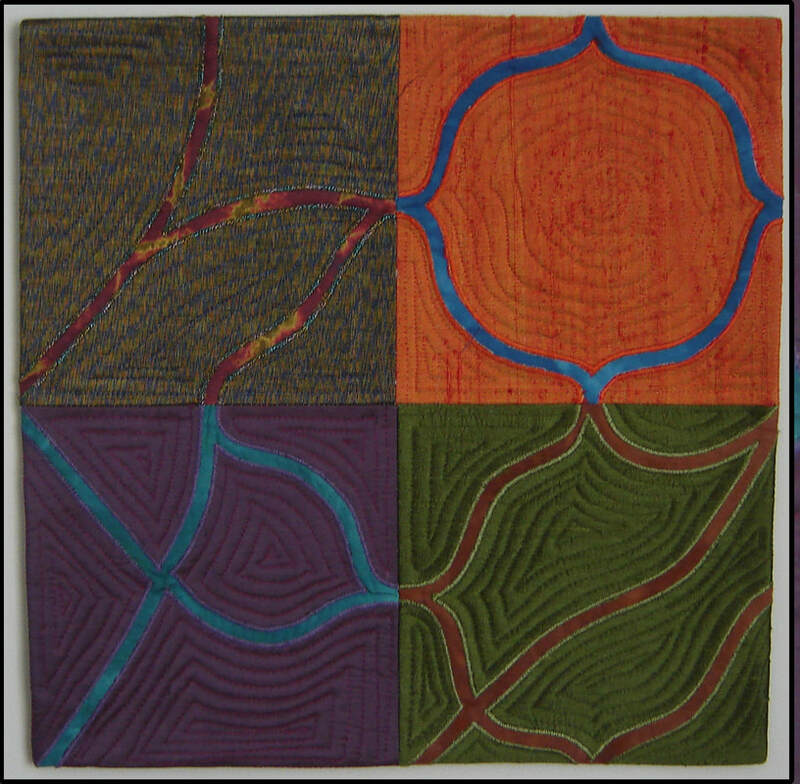 My stylized letter/blocks stay the same throughout this series, so once you have "read" one of my quilts, you will recognize the letters in others.